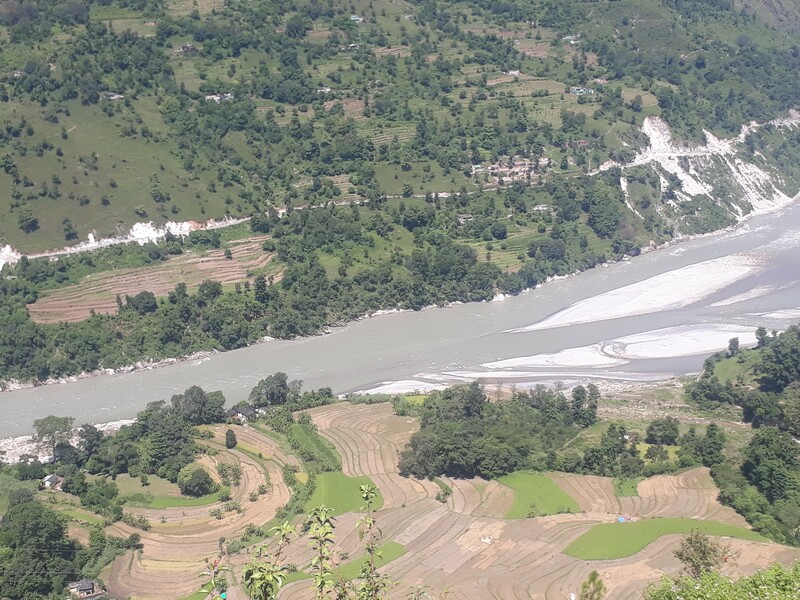 An example of local-government and community collaboration initiated by TROSA and its partners contributing to ensuring rights and entitlements of the riverine communities living around the Mahakali river basin in Nepal. Local governments play a very important role in ensuring the rights of the communities through their empowerment and access to services. Since its inception in Nepal, Transboundary Rivers of South Asia (TROSA) program identified the local government as one of the important stakeholders as it is recognized as an important federal structure and are autonomous with control over local legislature. As a part of this, TROSA started engaging with the newly elected leaders of the Province 7 soon after their election in June 2017, and held several workshops and one-to-one meetings with the local government authorities. The objective was to identify and discuss the challenges and opportunities for a basin-wide coordination and planning mechanism to govern the Mahakali river and reduce riverine communities’ vulnerabilities by ensuring their water rights are respected and recognized in policy decisions. TROSA aimed to work with the provincial officials to ensure that the water resource management policies and practices of local government are more inclusive of community concerns and their rights. As a part of this ongoing advocacy, the leaders of provincial government were invited to Dhangadi in March 2018, where the Governor Mohan Raj Malla, local government officials, and civil society organizations committed to protecting the rights of both Nepali and Indian communities to use and control water and river resources from Mahakali River through a six-point declaration. The declaration known as Dhangadi Declaration was signed by mayors, deputy mayors, chief of District Coordination Committees and civil society organisations from Kanchanpur, Dadeldhura, Baitadi, and Darchula districts who committed to work jointly for the transboundary water management. TROSA is funded by Swedish International Development Cooperation Agency (SIDA) and is implemented through Oxfam’s local partners, Nepal Environment and Equity Development Society (NEEDS), Rural’s Women Development and Unity Center (RUWDUC), Rural Development and Management Society (RUDES) and Sankalpa in four districts of Province 7. As a follow up of the Dhangadi Declaration, an action plan for the Mahakali basin was developed in a meeting organized by TROSA in December 2018. The six-point Declaration was followed-up at this interaction program with leadership from Municipalities and Gaupalikas of four districts who agreed on the plan Dhangadi Declaration into Action. The interaction was facilitated by water Governance experts of Nepal, Dr. Ajay Dixit, Dr. Narayan Thapa, Ashutosh Shukla, Dr. Dinesh Raj Bhuju, Dr. Deep Narayan Shah, and Rajan Subedi. Twelve local authorities (eight female and four male) participated in this program which focused on four major topics: a) Riverine resources and bio-diversity (sand mining and Mahasheer fish conservation), b) Water resources and services (drinking water and water for irrigation), c) localising transboundary cooperation and governance (Disaster Risk Management and Early Warning System), d) stewardship in water resource management (Transboundary Water Governance). Interactive discussion on each topic gave them insights on transboundary water governance in Mahakali basin. Water governance requires administrative systems of a government to be more inclusive and responsive of the communities’ needs and demands for the effective use and management of water. Civil society can also play a very constructive and supportive role in bridging the gap between the administration and the community. In the South Asian region where water governance and water resource management is a major challenge due to the social, political, economic and administrative factors associated with it, engaging the local governments in ensuring access to water resources and control over it for the vulnerable as well as riverine communities can result in positive outcomes. With the Dhangadi Declaration and the Dhangadi Declaration into Action, TROSA and its partners have set a great example of local-government and community collaboration which are now contributing in ensuring rights and entitlements of the riverine communities living around the Mahakali river basin.